From the Mount’s surprise run to the NEC Men’s Championship Game to… LIU Brooklyn becoming the first team in league history to secure a third straight title to… the Quinnipiac women delivering the school’s first-ever NCAA bid to… Robert Morris’ NIT game against Kentucky, this past March was as action-packed as ever in the Northeast Conference. 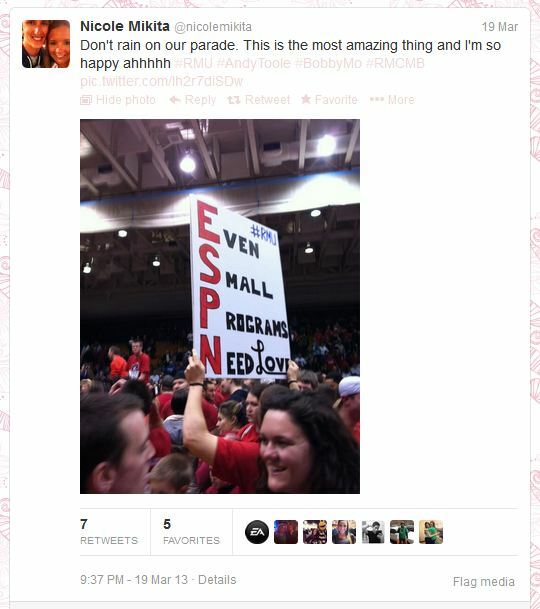 The most-active folks last month weren’t the student-athletes on the court, but the rabid fans of the NEC. Fans packed the league’s venues, flooded social media outlets, and stoked the madness that has become synonymous with March. In this Overtime! 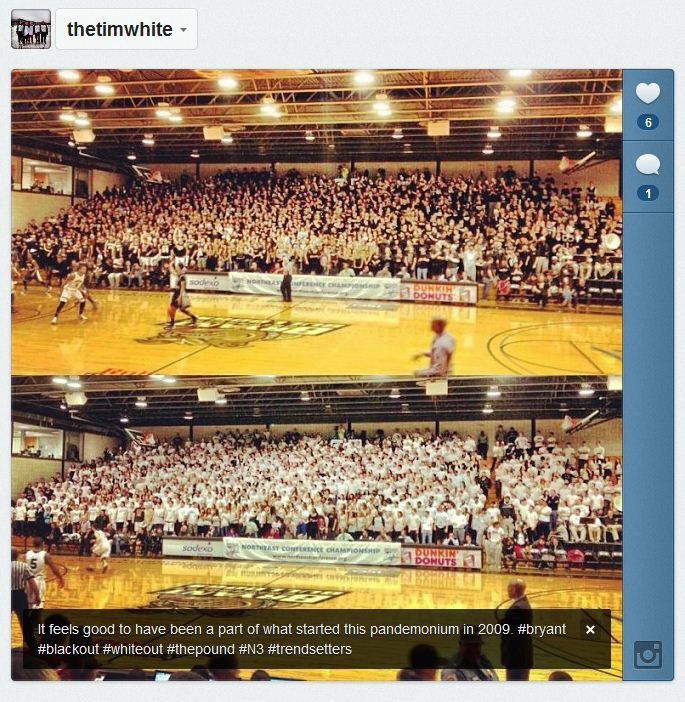 Blog post, we honored the Best of the Best when it comes to fan participation. Through various contests and promotions, fans had opportunities to secure a NEC Prize Pack. The lucky recipients are listed below. Founded in 2012, the Overtime! Sixth Man award goes to the No. 1 fan of the NEC Tournament as chosen by the Overtime! Blog staff. Attendance to games, Social Media Activity and Submitting Photos are the ways to score points in this contest. Robert Morris may have come up short in the NEC Tournament semifinal round, but the Colonials’ early exit wasn’t enough to stop Ethan Woy. Congratulations @WoyRMU15, you are the #NEC13 Sixth Man! 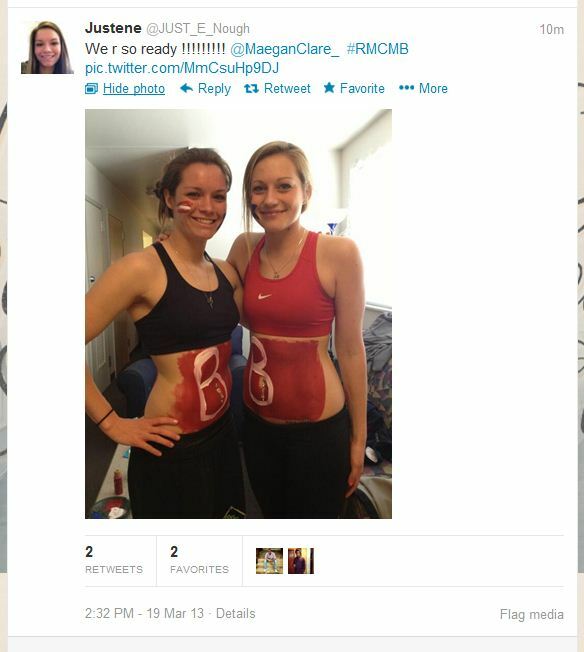 The NEC asked its fans to provide the sights of March by sending their photos over Twitter and Instagram. The Overtime! Blog staff sifted through the pile of images it received and pulled out six of them, which the staff felt best projected #NECPride. The captions and descriptions that accompanied the photos were weighed heavily in the selection process. The contest will give YOU the chance to whittle these six photos down to one #NEC13 winner. Beginning on Tuesday April 30 at 5:00 pm EST, the NEC will conduct a fan vote on its Facebook page. Fans will have until Monday night, May 6 at 11:59 pm to log onto the NEC’s Facebook home and “like” the photo they think is best. The photo that accumulates the most “likes” during the voting period will be the winner. 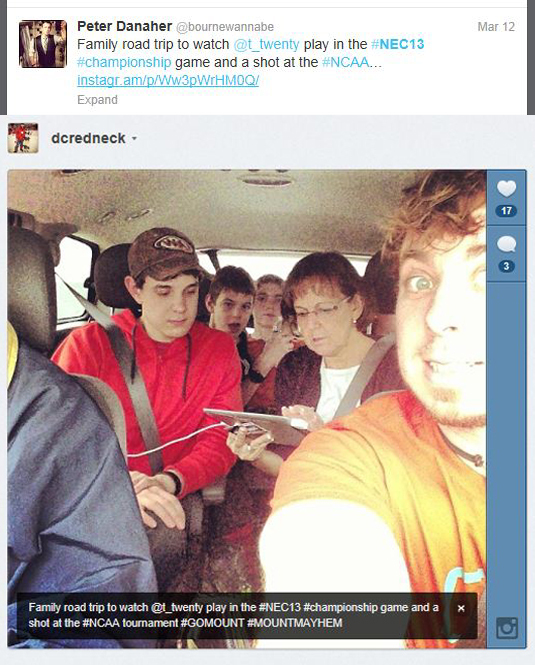 The person who submitted the winning photo will receive a #NEC13 Grand Prize Pack. The six photos are displayed in the gallery below, but to vote for your favorite, you must log onto Facebook and visit the Northeast Conference page. Here’s a list of the “tweeps” responsible for the #NECPridePix #Final6. The NEC school they resprent is in parentheses ( ). Below are the winners of our “Forecasting The #NECElite” Contest. 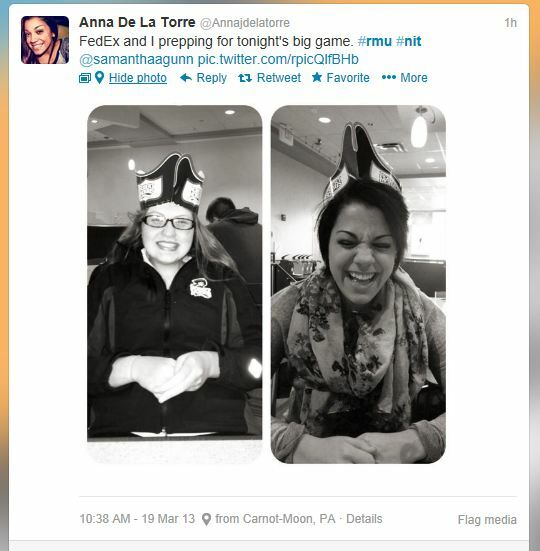 Particpants were asked to predict the 2013 All-NEC major award winners via Twitter. Only two perfect submissions were received. That question was answered this past March in Moon Township, PA. It was a 48-hour period like no other. From the moment the matchup was announced, the Robert Morris campus transformed into the focal point of the college basketball world. The chance to host Kentucky – the winningest program in NCAA history – in the Postseason NIT may have been a stroke of good fortune, but Robert Morris took full advantage of the opportunity. 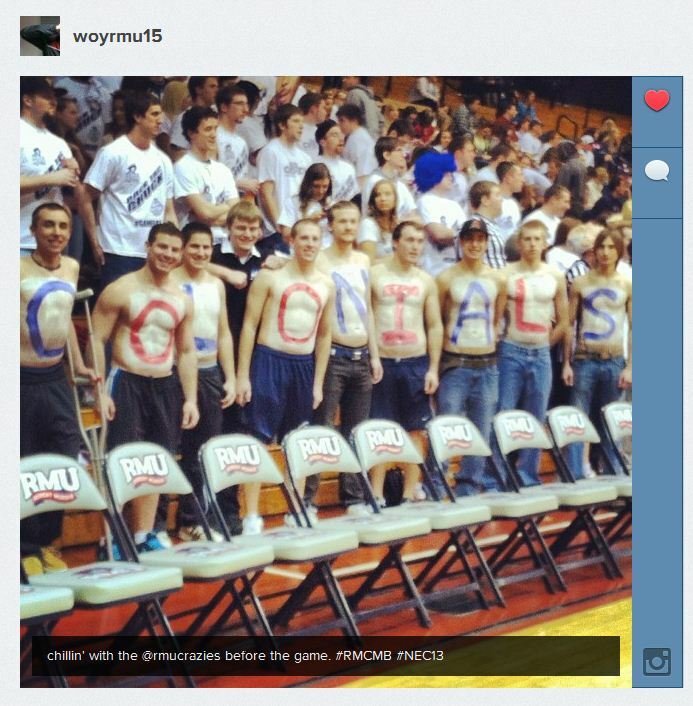 When the nationally-televised game ended in dramatic fashion with the Colonials on top, it took on even greater significance, both within the RMU community and throughout the Northeast Conference. As a single unifying event, it had no equal. The Conference became ONE on the night of March 19, flush with #NECPride. NEC Front Row is proud to present its first documentary short, #NECPride: Moon Magic, recounting the events of the two-day period that will forever live in Robert Morris and NEC lore. Baseball statistics guru Barry Allen sent this tweet out when Bryant had won only 18 in a row. Well, one day later, Steve Owens’ Bulldogs thumped defending America East champion Stony Brook, a program that advanced to the 2012 NCAA College World Series. Next up for Bryant, a visit to the defending NEC champion Sacred Heart Pioneers for a four-game weekend set. In case you haven’t been following, we will quickly recap what Jamie is referring to in the brilliant tweet above. 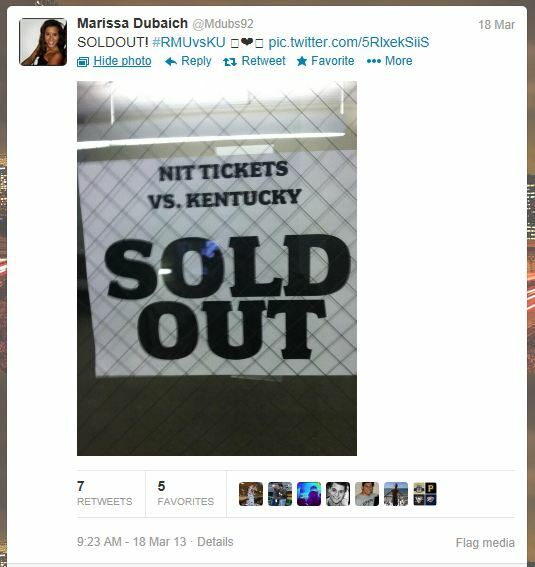 On March 19, Robert Morris hosted a postseason NIT men’s basketball game against defending NCAA champion Kentucky, and ended Big Blue Nation’s season with a 59-57 triumph on national TV. Then, Quinnipiac, a NEC core member since 1998 when it stepped up into the Division I ranks, made the Frozen Four in men’s ice hockey and advanced through to the national title game against Yale. Finally, it was has become an annual ritual for the two-time NEC champion FDU Knights, Michael LoPresti’s team contested the eight-team NCAA Bowling championship bracket for the ninth time in 10 years. Although it came up just shy of another Final Four appearance, FDU was able to bounce Sam Houston State from the tournament and put forth valiant efforts against Vanderbilt and UMES. We’ve always known Velton Jones to be a classy competitor throughout his time at Robert Morris, and once again the hard-nosed, heavily-decorated guard shows why he is beloved. Upon finding out that Julian Boyd of rival LIU Brooklyn was officially granted a sixth year of eligibility from the NCAA, Jones reached out to his fellow all-NEC performer and prompted the following exchange. Thanks to Velton and Julian for a real-life example of #NECPride. In the wake of Monday’s bombings at the Boston Marathon, folks across the nation have come together in support of the victims and the NEC is no exception. 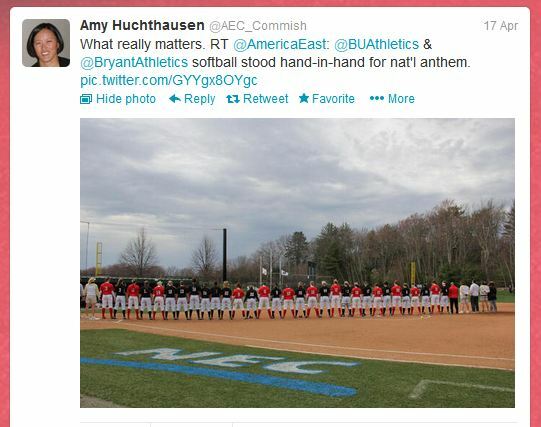 Thanks to the America East staff and Commissioner Amy Huchthausen for passing along this photo of two New England-based rivals joining hands in a sign of solidarity. It didn’t matter that the Bryant Bulldogs hail from the Northeast Conference, while the Terriers are the pride of America East, because, in the end we are all human beings. Trudell has found herself engaged in a number of intense battles against FDU on the lanes, but on this day, the Sacred Heart Pioneer was rooting for her NEC rivals. Not only was this former NEC Rookie of the Year following the Knights throughout NCAA Tournament competition, but when FDU suffered elimination in a heart-breaking loss to UMES, Trudell shared the kind words above. Finding joy in the success of your peers is a huge part of this thing we call #NECPride. 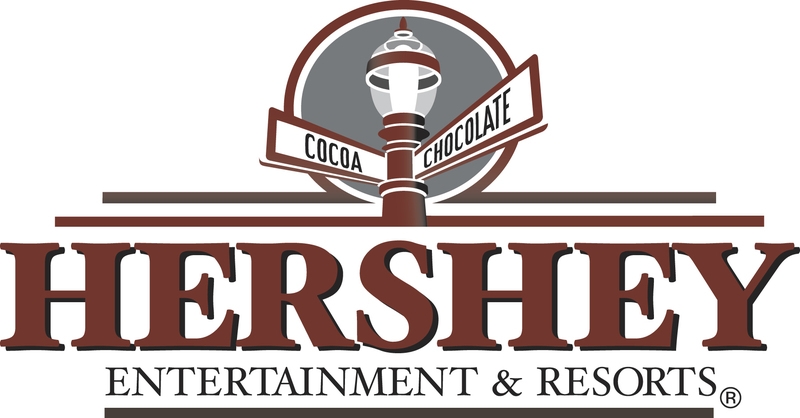 Attend a Northeast Conference Championship event this spring and follow it up with a free vacation at Hershey Entertainment and Resorts in Pennsylvania. Could that be a double dip you’re interested in? The Northeast Conference and “The Sweetest Place on Earth” have teamed up to make your spring as sweet as can be. In conjunction with longtime corporate partner Hershey Park, the NEC is offering a chance to win big at its spring championships. 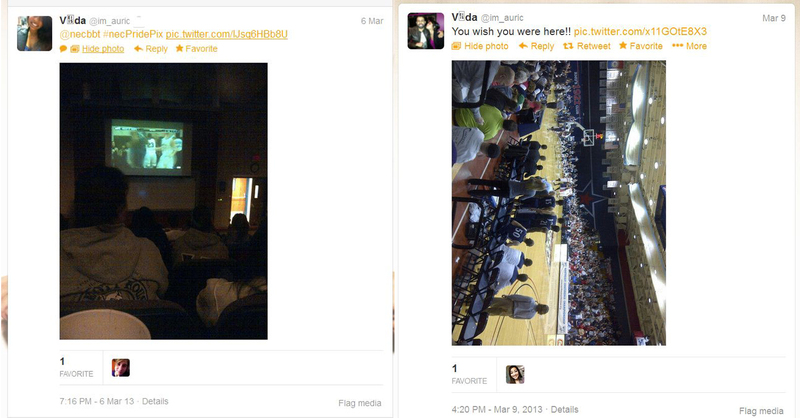 1) Attend one (or all) NEC Spring Championship event(s). 2) Make sure you are wearing NEC apparel or a piece of clothing that displays the logo of your favorite NEC school. 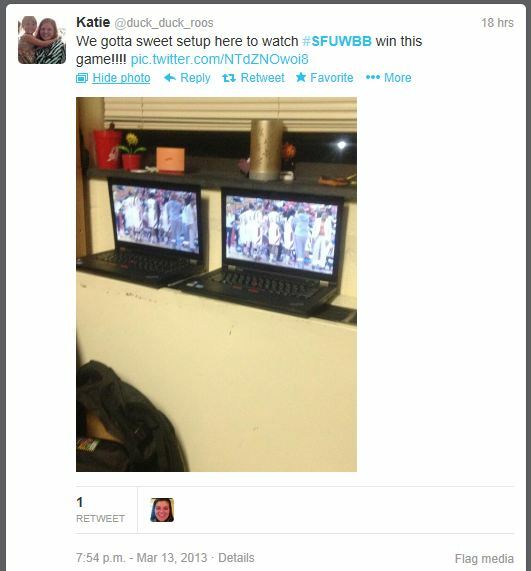 3) Snap a photo of yourself, or a freind, cheering on your favorite team at the event. 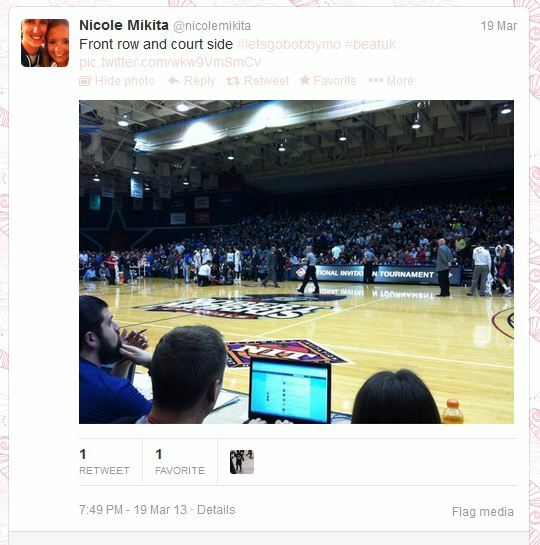 4) Tweet/Instagram the photo @NECsports, using the hashtag #SweetGetaway. (You must include the hashtag to be eligible). 5) The top 6 photos from the spring championship season (as chosen by the Overtime! Blog staff) will advance to the final voting round. The photos will be displayed on Facebook, and the one that receives the most “likes” during the voting period (June 3-10) will win the Grand Prize. Photos finishing in second, third, and fourth place will also receive a prize.